After breakfast depart for Tarangire National Park. Full day game drive in Tarangire National Park. Tarangire has a diverse landscape, with nine vegetation zones. Ancient Baobab trees (the largest trees in Africa) dot the landscape dwarfing the animals that feed beneath them. The Tarangire River, that meanders through the park attracts an abundance of wildlife, from elephants, lions, leopards, buffalos, zebras, giraffes, antelopes to a variety of colorful birds. The park is very famous for having the greatest elephant population in Tanzania, and during a safari there you will have the chance of quietly observing many families of elephants interacting. With a stop for a picnic lunch in an observatory inside the park where you will be able to view animals drinking water in the river (and many times lions attacking a thirsty zebra or wildebeest), continue game viewing and finally return to Heaven Nature for Camping Safari, at Heaven Nature, a unique campsite which has their own tents, which are fixed and huge (you can stand up inside) with real wooden beds (with sheets and everything) as well as modern toilet and shower facilities alternatively, option to stay in a lodge. 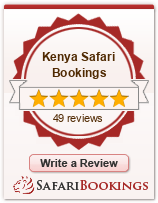 Depart after breakfast and drive across the Great Rift Valley to Lake Manyara National Park for a full day game drive. Although only 205 sq. miles in size this enchanting park is noted for its beauty and incredibly lush acacia forest of giant fig and mahogany trees, which are home to troops of baboons and blue monkeys. The park is also home to a large numbers of buffalos, giraffes, elephants, impalas and a Hippo lake, where large numbers of hippos usually gather. Well known for its birds (over 400 different species), Lake Manyara is one of the few places where you’ll be able to see the Ground Hornbill and the Crested Eagle. This park has become famous for the the climbing lions and the flamingos in the lake shore. The landscapes of these park are absolutely stunning, very different from the Serengeti for example. The game drives are done along the shore of the lake, providing incredible views of giraffes and buffalos in the foreground with the lake, flamingos and flat plains in the horizon. Great photo opportunities! In the afternoon, return to Heaven Nature for dinner. After an early breakfast w will drive a little to the 8th natural wonder of the world – the Ngorongoro Crater. With walls 2,000 ft high and a crater floor that spreads for 102 sq. miles, the crater is a virtual Noah’s Ark, inhabited by almost every species of wildlife indigenous to East Africa including the rare black rhino. In fact, the crater has the greatest concentration of wild life in the planet. It contains a river, several swamps, a soda lake that, from the top, looks like steam, full of flamingoes, a forest and open plains. The large bull elephants that reside here have extremely large tusk, due to the rich mineral content of the volcanic soil and its grasses. They are the most incredible elephants you’ll ever see in your life. Descend down to the crater floor for a day of wildlife viewing in one of the most incredible places on Earth. After a stop for a picnic lunch near the hippo lake and more wildlife viewing in the afternoon, drive up the steep road out of the crater, arriving in the late afternoon. Day 4: HUNTING WITH BUSHMEN & CULTURAL TOUR AT OLDONYO SAMBU MAASAI VILLAGE. Hunt with the bushmen near Lake Eyasi and visit Oldonyo Sambu Maasai Village: This is a traditional Maasai Village 40km away from Arusha and not a touristic show at all. In fact, many visitors to Tanzania consider this visit to be the greatest highlight of their trip. During the tour, you will be guided by a Maasai Chief, who will show you the village, how the Maasai live, their habits, how they cook, how they take care of livestock, what and how they study, dance, etc. Opportunity to watch the village women perform a local traditional dance. The whole experience provides fantastic photo opportunities, evening drive to Arusha town and overnight at hotel of your choice. Prices depend on the number of people and also the month of travel.